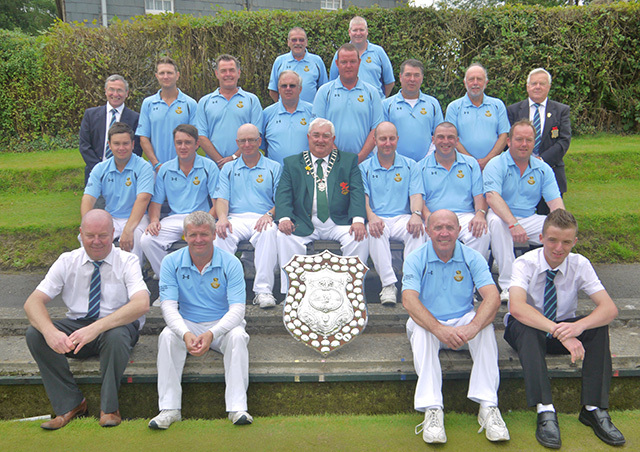 Welcome to RTB Ebbw Vale B. C.
Welsh Champions 2012 & 2013! Since the relocation of the bowls club in 2010 from the Steelworks site to Eugene Cross Park, RTB have continued their success over the seasons that followed and finally added the elusive Carruthers Shield in 2012 in addition to the Monmouthshire Cup, MBA Division 1 title and West Mon league. It is with great sadness that we announce the death of David Caldwell, a former member and treasurer of RTB Ebbw Vale B.C. and a former Chairman of Blaenau Gwent I.B.C..
Congratulations to Steve Harris on being selected to represent Wales in the forthcoming British Isles Indoor International Series. Good luck to Steve Harris and Jonathan Tomlinson as they represent Wales in the forthcoming World Bowls Championships in Christchurch, New Zealand. Congratulations to Jonathan Tomlinson on winning a silver medal in the World Champion of Champions Singles event in Austrailia. Congratulations to Jonathan Tomlinson on qualifying for the World Champion of Champions singles final where he will face Scott Thurley of Austrailia. Congratulations to Joathan Tomlinson on qualifying from the group stages of the World Champion of Champions Singles. On behalf of all the members of RTB Ebbw Vale Bowls Club, we would like to congratulate Howard Bull on being awarded Life Membership. This honour has been awarded to Howard in recognition of the many years of hard work that he has put into the club, especially over recent years where the club has undergone many changes. It is with great sadness that we announce the death of Dennis Buffin. On behalf of RTB Bowls Club we would like to pass on our sincere condolences to Dennis' family. The funeral will be held on Friday 18th November at St. Davids Church, Carmeltown, with the service starting at 11.00a.m.. Following the service, we will then proceed to the interment at Ebbw Vale Cemetery which will then be followed by refreshments at "A Touch of Class". Good luck to Jonathan Tomlinson as he represents Wales in the Champion of Champions Singles tournament being held in the Gold Coast, Austrailia. The Annual General Meeting will be held in the Bowls Pavillion on Friday 11th November at 7.15pm. Members are asked to make every effort to attend. Any notices of motion are to be sent to Howard Bull by November 1st. Congratulations to Richard Underwood and Liam Stone on winning the Guest Memorial Pairs tournament. Good luck to Liam Stone as he represents Wales in the Junior International Series in Elgin. Congratulations to Jonathan Tomlinson on becoming only the second person to defend the Merthyr West End Open Singles title, defeating Luke Davies of Ferndale B.C. 21-19 in the final. Congratulations to Jonathan Tomlinson on reaching the final of the Merthyr West End Open tournament where he will face Luke Davies of Ferndale. RTB win the West Mon League title. RTB win the MBA League Division 1 title for the 10th consecutive season with a comprehensive win against Abergavenny. RTB win the MBA County Knockout Cup with a 44-shot victory over local rivals, Beaufort. Congratulations to Steve Harris & Jonathan Tomlinson on being selected to represent Wales in the World Bowls Championships to be held in Christchurch, New Zealand from November 29th - December 11th 2016. Congratulations to Owain Dando on winning the MBA Singles with a 21-16 over clubmate Jonathan Tomlinson. Congratulations to Owain Dando, Steve Batten and Jonathan Tomlinson on winning the MBA Triples title. RTB qualify for the last 8 of the Carruthers Shield with a hard-fought 18 shot victory in Tenby. RTB will now face Ely Valley (away) in the quarter finals, to be played on Saturday August 6th 2016. RTB defeat local rivals Abertillery by 6 shots to progress to the final of the MBA Cup where they will face Beaufort. The final will take place at St. Julians B.C. on Sunday August 7th. Congratulations to Steve Harris, Paul Taylor, Kevin James and Ross Owen on qualifying for the semi finals of the Men's Fours in the Atlantic Rim Championships and guaranteeing themselves a medal in the process! Congratulations to Steve Harris, Paul Taylor and Robert Weale on winning a silver medal in the Men's Triples in the Atlantic Rim Championships, after narrowly losing the final by 3 shots against Scotland. Congratulations to Owain Dando and Liam Stone on being selected for the forthcoming Junior International Series. Good luck to Steve Harris as he represents Wales in the Atlantic Rim Championships in Cyprus. Congratulations to Dai Webley, Robert Walters, JK Evans & Lee Thomas (reserve) on winning the West Mon Triples. Congratulations to JK Evans & Steve Batten on reaching the final of the Guest Memorial Pairs Tournament in which they eventually lost to Luke Davies's pair from Ferndale. Congratulations to Robert Walters on retaining the West Mon singles title after defeating fellow RTB clubmate, Steve Langley, in the final. Congratulations to Dai Webley & Lee Thomas on winning the West Mon Pairs Championship in a nail-bitng extra end finish against team-mates Aaron Guess & Liam Stone. Congratulations to Richard Underwood on winning the Club Championship for the third time in five years, defeating Jonathan Tomlinson in the final. Good luck to all the RTB players taking part in the Club Finals, West Mon finals and Guest Memorial tournament this weekend. Congratulations to Richard Underwood, Owain Dando and Liam Stone on being part of the Welsh Under 25 International team that won the British Isles Junior International Series at Oxford. Congratulations to Jonathan Tomlinson on winning the 51st Annual Merthyr West End Singles tournament for the second time in 6 years by defeating Roger Harvey 21 - 11 in the final. Congratulations to Jonathan Tomlinson, Steve Toms and Liam Stone on reaching the semi finals of the Merthyr West End Singles Tournament. The semi finals sees an all-West Mon line-up with Jonathan Tomlinson v Steve Toms and Liam Stone v Roger Harvey (Beaufort). Congratulations to RTB on winning their 9th succesive MBA Division 1 title after defeating Cwmbran Park 14-0. Congratulations to Jonathan Tomlinson who overcame a 15-7 deficit to defeat Robert Weale 21-16 in the WBA Open Singles final. Congratulations to Steve Toms, Roger Silcox, Robert Price and Steve Batten on winning the WBA Open Fours, defeating the Merthyr West End four 23-15 in the final. Good luck to all the RTB players taking part in the National Finals! Congratulations to Owain Dando, Richard Underwood and Liam Stone on their selection for the WBA Under 25 International Team to take part in the Junior International Series in September. Good luck to Owain Dando, Richard Underwood and Liam Stone in the WBA Under 25 International Trial. Congratulations to RTB on progressing to the semi finals of the Carruthers Shield for the third time in 4 years with a nail-biting 1 shot victory against Old Landorians. RTB will now face Tenby in the semi final. The second semi final will be between Pontrhydyfen and Harlequins. Good luck to the 6 RTB players (Owain Dando, Robert Walters, Steve Harris, Jonathan Tomlinson, Richard Underwood & Steve Toms) in the 10-man squad competing in the semi finals of the WBA double rink at Llandrindod Wells on Sunday 2nd August. RTB progress to the last 8 of the Carruthers Shield with a 30 shot victory over reigning champions Penylan. RTB will now face an away trip to Old Landorians on August 1st. Congratulations to Steve Harris on being selected to represent Wales in the Atlantic Championships to be held in Athena Beach, Pathos, Cyprus from 25th November - 14th December 2015. RTB progress to the final of the MBA Cup with a nail-biting 2 shot victory over Division 1 rivals Cross Keys at Panteg House B.C.. RTB will now face local rivals Beaufort in the final on Friday 24th August at Pontyfelin B.C. Open Fours - R Underwood, L Thomas, O Dando & J Tomlinson versus S Toms, R Silcox, R Price & S Batten. RTB progress to the last 16 of the Carruthers Shield with a 48 shot victory over MBA Division 1 rivals, Bedwas & Trethomas. RTB will now face the defending champions Penylan on July 18th at RTB. Good luck to Owain Dando, Steve Harris and Jonathan Tomlinson as they represent Wales in the British Isles International Series in Hamilton. RTB progress to the semi finals of the MBA Cup with a 24 shot victory against local rivals Abertillery. They other semi finalists are Beaufort, Cross Keys and Pontymister Athletic. RTB progress to the 2nd round of the Carruthers Shield with a comprehensive 121-48 victory against Swansea (Bryn Road). The second round will be a home tie against MBA Division 1 rivals Bedwas & Trethomas on Saturday July 4th. Congratulations to Steve Harris, Owain Dando, Jonathan Tomlinson on being selected to represent Wales in the forthcoming B.I.B.C International Series to be held in Scotland (June 24th - 28th). After a solid start to the defence of the MBA Division 1 title, taking 54 of a possible 56 points with wins over Cwmbran, Chepstow, Machen and Cross Keys, RTB slip to a 1 shot defeat at home to Bedwas taking 4 of the 14 points available. Congratulations to Steve Harris, Owain Dando and Jonathan Tomlinson on being selected for the Second Senior International Trial Team. The trial will be held at Llandrindod Wells on 31st May. Congratulations to Robert Walters and JK Evans on winning the inaugural Rhymney Gwent Pairs tournament. Congratulations to Steve Harris, Owain Dando, Jonathan Tomlinson and Robert Walters on being selected for the Senior International Trial Team. The trial will be held at Llandrindod Wells on 17th May. Congratulations to Jonathan Tomlinson and Steve Harris on being selected for the Wales Elite Squad. Congratulations to Owain Dando and Richard Underwood on being selected for the Welsh International Development Squad. Congratulations to Richard Underwood and Owain Dando on being selected for the Junior International Trial Team. The trial will take place on August 9th at Llandrindod Wells. It is with great sadness that we announce the passing of Gethin Jones. Our thoughts and condolences are with Gethin's family at this time. The funeral will take place on Thursday 16th April at 11.55a.m. at Llwydcoed. RTB Ebbw Vale Bowls Club will be holding an Open Day on Sunday 3rd May, starting at 2pm. All ages are welcome to come along and have a go! The pre-season meeting will take place on Monday 9th March, 2015 in the bowls pavillion. The meeting will commence at 7.15pm. Members are asked to make every effort to attend. The Annual Dinner & Presentation evening will take place on Friday 10th April at Touch of Class. Tickets are available from Howard Bull at a cost of £9 per person. Members are asked to arrive at 6.45pm for 7.15pm start. The Annual West Mon Presentation Evening will take at Nantyglo RFC on Friday March 6th, 2015. Any members wishing to attend should contact Howard Bull to reserve their tickets. Tickets will be £12 per person (approx). Happy new year to all our members and fellow bowlers! Congratulations to Owain Dando on being selected to represent Wales in the Under 25 International Series in February. Congratulations to RTB Bowls Club on winning the MBA Division 1 League title for the 8th successive season with a 47 shot victory over Bedwas & Trethomas, taking 13 points. Congratulations to the rink consisting of Richard Underwood, Lee Thomas, Owain Dando & Jonathan Tomlinson on reaching the final of the Welsh National Open Fours where they were eventually defeated by the Wyn Matthews four 22 - 20 in a nail-biting final. RTB win the West Mon League title for the 6th consecutive season with a 12-2 victory over Rhymney Royal. Good luck to Richard Underwood, Lee Thomas, Owain Dando and Jonathan Tomlinson in the Open Fours at the Welsh National Championships in Llandrindod Wells. Congratulations to Jonathan Tomlinson who, along with Paul Taylor and Marc Wyatt, won a bronze medal in the triples. Good luck for the forthcoming fours event where they will also be accompanied by Mark Harding. RTB's undefeated run in the Carruthers Shield comes to an end with a 9 shot defeat at Penylan. Good luck to Jonathan Tomlinson in the Commonwealth Games in Glasgow, where he will represent Wales in the Men's triples and fours. RTB progress to the last 16 of the Carruthers Shield with a 39 shot victory over Cardigan, setting up a mouth-watering fixture away to Penylan. RTB's run in the MBA Knockout Cup has finally ended! After a record 39 consecutive wins and six consecutive titles, the reigning champions were defeated by a very determined Pontymister Athletic team in the quarter finals. RTB progress to the last 32 of the Carruthers Shield by defeating Briton Ferry Steel and will now face Cardigan in the next round. Congratulations to Richard Underwood and Owain Dando on being selected for the Welsh Junior International Team. Also congratulations to Owain on being named as captain for the team. Tote 4 Bowls will be officially launched on Saturday June 7th, 2014. Tickets are available from club members at a cost of £1 per ticket per week. Simply pick any four numbers from 1-24 and if you match all four numbers drawn you win the jackpot! The weekly results, jackpot details and winners will be posted on the website. Congratulations to Steve Harris, Jonathan Tomlinson and Owain Dando (reserve) on being selected in the Senior International team for the forthcoming British Isles Series. COMING SOON!!! Tote 4 Bowls will be launched...... more details to follow shortly! Congratulations to Owain Dando, Jonathan Tomlinson and Steve Harris on being selected for the 2nd Senior International trial. RTB progress through to the second round of the MBA Cup after a first round bye against Pontypool Park. Congratulations to Owain Dando for being selected in the Wales International Development Squad 2014. Congratulations to Jonathan Tomlinson and Owain Dando who, along with Islwyn team-mates Martin Selway and Ian Henderson, won the British Isles Indoor Fours title. Good luck to Roger Harvey as he makes his indoor international debut in the British Isles Indoor International series. The Annual Dinner & Presentation evening will take place on Friday 4th April at Touch of Class at 7.00p.m. Tickets are available at a cost of £9 per person. Any members wishing to attend are asked to contact Howard Bull. The pre-season meeting will take place on February 8th April 2014 at the Bowls Pavillion, 7.00p.m. start. Members are asked to make every effort to attend. Congratulations to Roger Harvey on being selected to represent Wales in the forthcoming British Isles Indoor International Series, to be held in Stanley, County Durham in March 2014. Congratulations to Jonathan Tomlinson on being selected to represent Wales in the 2014 Commonwealth Games, where he will compete in the triples and fours. Congratulations to Owain Dando on being selected to represent Wales in the forthcoming Junior International Series to be held in Ireland on February 8th & 9th, 2014. Congratulations and good luck to Jonathan Tomlinson on being selected for the forthcoming Hong Kong Classic tournament. The Annual General Meeting will take place on Monday November 18th at Touch of Class. The meeting will commence at 7.15pm and all members are requested to make every effort to attend. Any notices of motion are to be sent to H. Bull, proposed and seconded, 10 days prior to the meeting. RTB complete an outstanding season by winning the GBL Division 1 title. Congratulations to the four of Richard Underwood, Lee Thomas, JK Evans, Steve Harris & Robert Walters (reserve) on winning the West Mon fours title for the 4th consecutive year! Congratulations to Darren Baker on retaining the West Mon singles title. RTB retain the MBA Division 1 title with a victory over Abercarn, taking 13 pts in a nail-biting finish to the league campaign as they pip local rivals Beaufort by a single point. RTB RETAIN THE CARRUTHERS SHIELD with a 29 shot victory over Tenby in the morning session, followed by an emphatic 50-shot victory over Ammanford Park in the final. RTB are now only the fourth club ever to retain the title, following in the footsteps of Pantygwydr (1932/33), Dinas Powis (1985/86) and Pontrhydyfen (2001/2 & 2004/5/6)! Congratulations to Steve Harris on reaching the Welsh Open Singles final. Congratulations to John Carey, Don Martyn, David Mogford and Graham Congreve (Brynmawr) on winning the WBA Senior Fours title. Congratulations to Robert Price on winning the WBA Senior Singles title. Congratulations to Joe Mower (Beaufort) on retaining the WBA Under 18 singles title. Good luck to all the Monmouthshire players taking part in the forthcoming National Championships at Llandrindod Wells B.C. Congratulations to Richard Underwood, JK Evans, Steve Harris, Jonathan Tomlinson and Lee Thomas (reserve) who, along with Roger Jones (Panteg Park), Ian Slade (Crosskeys), Danny Davies & Jason foote (Beaufort) won the Welsh Double Rink Tournament for Monmouthshire. RTB progress to the semi-finals of the Carruthers Shield after a 6 shot victory over local rivals Beaufort. RTB will face Tenby in the semi-final to be played at Llandrindod Wells B.C. on Saturday August 17th. The second semi-final will be contested between Gilfach and Ammanford Park, with the final being played in the afternoon session. Good luck to all players involved. RTB win a 6th consecutive MBA Cup title with a 17 shot victory over Beaufort. Congratulations to RTB on winning the West Mon League title for a 5th consecutive year and setting a new league record of 131 points out of a possible 140. Congratulations to Richard Underwood and Owain Dando on being selected to represent Wales in the forthcoming Junior International Series. RTB progress to the last 8 of the Carruthers with a hard-fought victory at Aberavon. RTB will face local rivals Beaufort in the quarter final to be played at RTB on Saturday 3rd August. Congratulations to Richard Underwood, Owain Dando and Jack Vale for their selection in the Junior International trial squad to be held at Llandrindod Wells on Sunday 21st July. Congratulations to the following players on reaching the county finals, to be held on Saturday 27th July at Bedwelty Park B.C. : Steve Harris (Open Singles and Open Fours), Dai Webley, Robert Walters and JK Evans (Open Fours), Robert Price (Over 60's singles), Roger Silcox & Steve Baker (Over 60's Pairs) and Richard Underwood (Champion of Champions). RTB progress through to their 6th consecutive MBA Cup final after a nail-biting 4-shot victory over Cwmbran Park at Cross Keys B.C. RTB will now face local rivals, Beaufort, in the final to be played at Bedwelty Park B.C. RTB qualify for the last 16 of the Carruthers shield by defeating Machen by 29 shots. RTB will now face an away trip to Aberavon on Saturday 20th July. RTB progress to the last 32 of the Carruthers Shield with a hard-fought 35 shot victory against Gwynfi. In the next round RTB will face fellow MBA Division 1 team, Machen. Congratulations to Jack Vale, who along with Adam King (Beaufort) qualified for the semi-final of the Under 18 two-wood pairs. The semi-final and final will be played at Llandrindod Wells on Sunday 4th August. RTB qualify for the quarter finals of the MBA Cup with a 38 shot victory over Newbridge. RTB will now face Pontymister Athletic at RTB on Friday 28th June. Congratulations to Steve Harris, Jonathan Tomlinson and Owain Dando on their selection for the Welsh Senior International Team for the forthcoming British Isles International Series to be held in Dublin from 26th-30th June. Congratulations to Jonathan Tomlinson on being the runner-up in the Test match singles tournament where he lost to his former RTB team mate, Stewart Anderson, 21-15 in the final. RTB continue their progress in the MBA Cup, defeating Bedwas & Trethomas by 23 shots. They will now face Newbrdige in the last 16. Congratulations to Jonathan Tomlinson on being selected to represent Wales in the 4-Nations Test match to be held in Scotland. RTB qualify for the knockout stages of the Carruthers Shield where they will now face Gwynfi. The match will be played at home on Saturday 22nd June. RTB progress to the second round of the MBA Cup with a victory over Henley. RTB will now face a home tie against MBA Division 1 rivals, Bedwas & Trethomas. Good luck to Jonathan Tomlinson and Steve Harris in the forthcoming British Isles International Series in Stanley, County Durham. Good luck to Jonathan Tomlinson and Owain Dando in the British Isles Pairs Championship final against Alex Adrain and Paul Foster. The pre-season meeting will take place on Monday 18th March 2013 at 7.15pm at "Touch of Class". Members are asked to make every effort to attend. The annual subscriptions are also due to be paid prior to the start of the forthcoming season (20th April) so the meeting will provide an ideal opportunity for members to do so. Any members wishing to attend the Annual Dinner & Presentation Evening on the 5th April can reserve tickets at the meeting or beforehand by contacting Howard Bull directly. The RTB Annual Dinner & Presentation evening will take place on April 5th at A Touch of Class. Tickets are available at a cost of £8 per person. Once again, any members wishing to book tickets should contact Howard Bull or Brian Chambers. The West Mon Annual Dinner and Presentation evening will take place on Friday March 22nd at Nantyglo R.F.C.. Tickets are £13 per person. Any players wishing to attend should contact Howard Bull or Brian Chambers to book tickets. Fixtures and other significant dates for the forthcoming season are now on the fixtures and results page. Congratulations to Stewart Anderson on winning the World Indoor Singles title at Potters Leisure Resort! Good luck to Steve Harris as he faces Paul Foster in the first round of the World Indoor Singles held at Potters Leisure Resort on Wednesday 16th January. Congratulations to Steve Harris and Jonathan Tomlinson on being selected to represent Wales in the forthcoming B.I.I.B.C series. Let's all hope that the momentum and success from the past outdoor season can keep going for you! Also further congratulations to Steve Harris on being named Captain for the series for the second consecutive year. Good luck to Jonathan Tomlinson in the forthcoming World Bowls Championships to be held in Adelaide where he will represent Wales in the triples and fours competitions. To celebrate the outstanding achievements of the season, there will be a social evening on Saturday 3rd November at Touch of Class for all club members. The Annual General Meeting will be held on Monday 12th November 2012 at Touch of Class. The meeting will commence at 7.15p.m. and all members are urged to make every effort to attend. Congratulations to Steve Harris on qualifying for the World Indoor Singles to be held at Potters Leisure Complex in January 2013, where he will face Paul Foster in the 1st round. Congratulations to Robert Walters and Roger Silcox on winning the Guest Memorial Pairs tournament, defeating the pair of Mark Jones and Craig Maycock 18-12 in the final. It is with great sadness that we announce the death of John Norris. On behalf of RTB Bowls Club we would like to pass on our sincere condolences to John's family. The funeral will be held on Thursday 27th September at Christchurch, with the service starting at 2.00p.m.. Following the service, we will then proceed to the interment at Cwm Cemetery which will then be followed by refreshments at "A Touch of Class". Club members are asked to wear their club blazers with black ties. Good luck to Richard Underwood (RTB), Owain Dando (Brynmawr), Tom Hancock (Cross Keys), Jason Foote & Danny Davies Jr. (Beaufort) in the forthcoming Junior International Series in Glasgow on the 8-9th September. Congratulations to D. Baker for winning the West Mon singles and to Richard Underwood, Lee Thomas, JK Evans, Steve Harris and Robert Walters (reserve) on winning the West Mon fours title. RTB win their 6th successive Monmouthsire Division 1 title and complete their 5th consecutive league/cup double with a 12-point win against Abercarn. With other results in the league going in their favour, RTB win the league with 1 game still to play against Brynmawr (September 1st) and complete an outstanding season for the club. RTB win the West Mon League for the 4th consecuutive year by taking maximum points in their final two matches to finish the campaign unbeaten. Congratulations to Jonathan Tomlinson and Kelly Packwood on winning the Welsh Mixed Pairs title. RTB win the Carruthers' Shield!!! RTB become Welsh Champions 2012 with hard-fought victories over Tenby in the semi-final (81-71) and Ammanford Park in the final (82-72) played at Llandrindod Wells. After a disatrous start in the semi-final, RTB found themselves trailing by 26 shots after just 5 ends played. However, strong performances by the rinks skipped by Jonathan Tomlinson (24 - 12), Steve Batten (26 - 17) and Steve Harris (22-16) provided too great an advantage for Tenby to overcome. Despite a battling performance, the rink skipped by JK Evans lost to the P. Diment four, 9-27. In the final, the RTB boys made a much improved start establishing an early 12 shot advantage over Ammanford Park (who earlier in the day defeated Ely Valley) with the four skipped by JK Evans leading the way as they raced into an early 13 -2 advantage over the K. Peregrine four. After a late rally by the Ammanford four, the RTB rink eventually ran out 24 - 18 winners. After a poor start the S. Harris four fought back in the second half of the match, eventually losing 15-19 to the K. Griffiths four. In a close fought match where the lead changed hands a number of times, the J. Tomlinson four were eventually defeated 16 - 21 by the rink skipped by N. Bithray. After a tight start to the final match, the four skipped by S. Batten eventually exerted their control on the match as they defeated the W. Owens four, 27-14. This is only the second time in the clubs history that they have managed to win the much-coveted Carruthers' Shield with the previous success taking place in 1974. 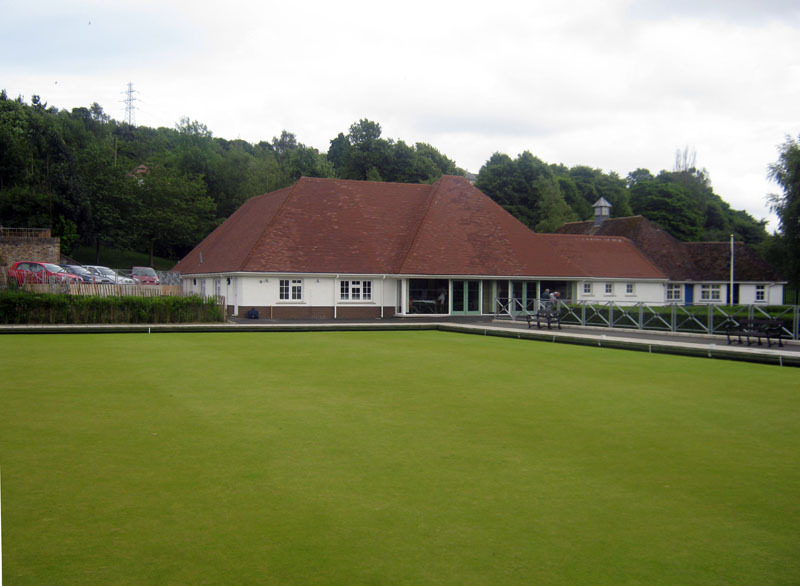 Good luck to Jonathan Tomlinson, Steve Baker and Roger Silcox and all the other Monmouthshire Bowlers as they take part in the National Championships taking place at Llandrindod Wells B.C. from 12th - 17th August. RTB captured a 5th successive MBA Cup title with a 14-shot victory over local rivals Beaufort in the cup final played at R.T.B.B.C.. More details to follow. RTB qualify for the semi finals of the Carruthers Shield with a hard-fought 3 shot victory against local rivals Beaufort in an epic encounter. RTB will now face (2009 champions) Tenby, at Llandrindod Wells B.C. in the morning session on Saturday 18th August. The winner of this tie will face either (2006 runners-up) Ammanford Park or (2007 champions) Ely Valley in the final to be played in the afternoon session. Congratulations to Steve Baker and Roger Silcox on winning the MBA Over 60's Pairs final. RTB reach their 5th consecutive MBA Cup final with a 25 shot victory (73-48) against Cross Keys. RTB will now face local rivals Beaufort in the final to be played at R.T.B.B.C. on Friday 10th August. Congratulations to Richard Underwood (RTB) who, along with Owain Dando (Brynmawr), Tom Hancock (Cross Keys), Jason Foote and Daniel Davies Jr. (Beaufort) have been selected to represent Wales Under 25's in the international series to be held in Glasgow in September. RTB progress to the quarter finals of the Carruthers Shield after a hard-fought 10-shot victory over Parc-y-Dre. RTB will now face local rivals Beaufort for a place in the semi finals. Congratulations to Jonathan Tomlinson for reaching the final of the MBA singles for the third time in four years where he will face Gavin Abrahams (Beaufort). Congratulations also to Steve Baker and Roger Silcox on reaching the final of the MBA Over 60's Pairs. The finals will be played at RTB on Saturday 28th July, 2012. RTB qualify for the semi finals of the MBA Cup with a comprehensive 81 shot victory over Panteg House. Congratulations to Jonathan Tomlinson on being selected to represent Wales in the World Championships to be held in Adelaide in November / December 2012. RTB progress through to the last 16 of the Carruthers Shield where they will face Parc-y-Dre at RTB on Saturday 21st July. Fixtures & Results has now been updated with the dates of all the rearranged fixtures. A page has been added outlining the current league positions in the MBA, West Mon and GBL leagues. We will endeavour to keep this page as up to date as possible (see "League Tables" on the menu on the left hand side of each page). RTB defeat Gwynffi to progress to the last 32 of the Carruthers Shield where they will now face Ynysybwl. RTB qualify for the knockout stages of the Carruthers Shield after group stage wins over Rhymney Gwent, Pontymister Athletic and Blaenavon. RTB will now face Gwynffi in the first knockout round. Congratulations to all the Monmouthshire players selected for the 1st Senior Trial session to be played at Llandrindod Wells on May 20th. Players include Steve Harris, Jonathan Tomlinson, Steve Batten, JK Evans (reserve) (all RTB), Owain Dando (Brynmawr), Adrian Freeman (Blaenavon), Roger Jones (Panteg) and Ian Slade (Cross Keys). Good luck to Steve Harris (RTB), Jonathan Tomlinson (RTB) and Owain Dando (Brynmawr) as they take part in the Top Ten Tournament against Jersey. Congratulations to Stewart Anderson & Owain Dando on successfuly defending their WIBA Open Pairs title with a 24-18 victory over the Cardiff pair of Daniel Salmon & Damian Doubler. Congratulations to Jonathan Tomlinson on reaching the WIBA Open Triples final, along with Martin Selway & Ian Henderson before eventually succumbing 13-19 to the triple of Neil Taylor, Geoff Simon and Ross Tomlinson. The first friendly match of the forthcoming season will be against Merthyr West End (away) on Saturday 21st April (match to commence at 2.30pm). Any players that have not yet indicated their availability for this fixture are asked to notify either Howard Bull or Darren Baker by 7pm on Wednesday 18th April. The selected side will be put on the website later that evening along with report times and travel details. Congratulations to Stewart Anderson and Owain Dando on winning the British Isles Indoor Pairs title, beating Nicky Brett and Greg Harlow in the final. Congratulations also to Steve Harris, who along with Stewart Anderson and Marc Wyatt were runners-up in the British Isles Indoor Triples. The fixture page has been updated for the forthcoming season. Good luck to Steve Harris, Jonathan Tomlinson, Stewart Anderson (all RTB) and Owain Dando (Brynmawr) as they represent Wales in the forthcoming British Isles Indoor Championships being held at Swansea I.B.C.. Once again, congratulations to Steve Harris on being selected as captain for the series. The pre-season meeting will take place at Touch of Class on Monday 26th March at 7.15pm. Members are urged to make every effort to attend. As member subscriptions are to be paid prior to the first game of the season it is also an excellent opportunity to make payment. The Annual Presentation evening will take place on Friday 13th April at Touch of Class (meet at 6.30pm for 7.00pm start). Members who have not yet reserved tickets will have another opportunity to do so at the pre-season meeting or can contact Howard Bull directly. Congratulations to Steve Harris (RTB), Jonathan Tomlinson (RTB) and Owain Dando (Brynmawr) on being selected to represent Wales in the Top Ten Tournament versus Jersey on the 27th-28th April. Good luck to Stewart Anderson in the World Indoor Championships being held at Potter's Leisure Resort. 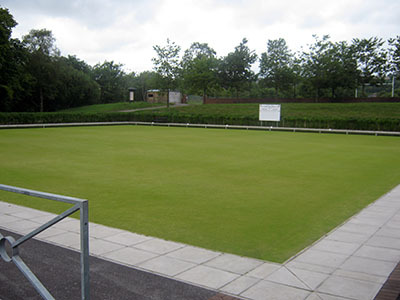 The West Mon Bowls Association Annual Dinner & Presentation evening will take place at Nantyglo R.F.C. on Friday 16th March, 2012. Any members who would like to attend, please contact Brian Chambers for ticket reservations. The RTB Bowls Club Annual Dinner and Presentation evening will be held at A Touch of Class on Friday 13th April, 2012. Any members who wish to attend, please contact Howard Bull for ticket reservations. Congratulations to Steve Harris, Jonathan Tomlinson and Stewart Anderson for being selected to represent Wales in the British Isles Championships to be held in Swansea in March 2012. Also congratulations to Steve Harris for being selected as Captain for the series. On behalf of the club, we wish you all the best for the series. Congratulations to Mostyn Lewis on being inaugurated as President of the Monmouthshire Bowling Association for the forthcoming 2012 season. On behalf of the club, we wish to extend our congratulations and continuing support during your year of office. Congratulations to Steve Harris on being appointed and continuing his role as MBA Team Manager for the 2012 season. Congratulations to Roger Silcox on being elected as Vice Chairman of the West Mon Bowling Association for 2012. Following this year's AGM, an updated list of Officers can be found on the Officers page. Good luck to Stewart Anderson as he takes part in the Co-operative Funeralcare Scottish International Open in Perth. Congratulations to Steve Harris and Stewart Anderson for being selected to represent Wales in the forthcoming Test Match against Guernsey on November 12-13th at Newport I.B.C. Congratulations to Jonathan Tomlinson on winning the silver medal in the singles competition in the Atlantic Championships held at the Athena Beach Hotel, Cyprus. Good luck to Jonathan Tomlinson who will be representing Wales in the singles and pairs competitions in the forthcoming Atlantic Championships to be held at the Athena Beach Hotel, Cyprus between 17-30th October 2011. The Annual General Meeting will take place on Thursday 17th November, 2011 at "Touch of Class". The meeting will commence at 7.15pm. All club members are asked to make every effort to attend. An end of season celebration will take place at Touch of Class on Saturday 24th September at 7.00p.m. All RTB B.C. members are invited to celebrate a successful season in which the club retained the Monmouthshire Division 1, Monmouthshire Knockout Cup and West Mon titles as well as achieving numerous individual honours and titles. Under 25's singles - R. Underwood. Club Championship, S. Harris v R. Underwood, will be played at 5.00pm on Monday 12th September due to Richard Underwood's involvement in the Junior International series being held at Worthing. Good luck to Richard and the rest of the squad, on behalf of RTB. Congratulations to Robert Price on winning the 2011 Merthyr West End Open Tournament with a hard-fought 21-19 victory over Martin Selway. Congratulations to Lee Thomas, Steve Harris, JK Evans, Stewart Anderson, Richard Underwood and Robert Walters on reaching the West Mon competition finals. Further congratulations must also be made to Lee Thomas on the excellent achievement of reaching all four major tournament finals (Singles, Pairs, Triples and Fours). The pairs, triples and fours finals will be held at Nantyglo B.C. on September 11th, 2011. The date of the singles final is yet to be confirmed. Good luck to all players involved! In a nail-biting finale to the competitive season, RTB clinched their 5th consecutive MBA Division 1 title on the final weekend of league fixtures, taking a total of 24 points from their last two games against Newport Athletic and Blackwood to overtake league leaders Beaufort on shot difference. Despite a poor start to this seasons campaign, all players involved showed the competitive desire and determination needed to retain their title and complete a 4th consecutive MBA league and cup double, as well as retaining the West Mon League title. This seasons results have been a testament to the standard of bowls within Monmouthshire with three teams (RTB, Beaufort and Bedwas & Trethomas) vying for the title leading into the final weekend. Congratulations to the Monmouthshire Bowling Association County Championship team for retaining the Welsh County Championship title with a hard-fought 10-shot victory over Mid Glamorgan at Llandrindod Wells. In a very vocal encounter, there was a high standard of bowling on an excellent playing surface which saw the defending champions trailing by 20+ shots at one stage. However, the Monmouthshire players stepped up their game in the final stages of the match to edge a thrilling encounter, 117 -107. RTB continued their run of 24 games unbeaten in the Monmouthshire County Cup to capture their fourth consecutive title with a 33 shot victory against Chepstow at Caldicot B.C.. An outstanding rink performance by Richard Underwood, Ian Powell, Wayne Hughes and Steve Harris paved the way with a comprehensive 35 - 6 victory over the rink skipped by A. Starr. Other rink scores were as follows: Darren Baker, Brian Birch, Lee Thomas & Jonathan Tomlinson defeated the J. Scurr four, 17 - 10. David Webley, Roger Silcox, Jamie Brown and JK Evans efeated the rink skipped by K. Bolton, 18 - 15. The rink of Howard Bull, Steve Baker, Robert Walters and Robert Price lost to the C. Davies four 19 - 25. Well done to all the players on an excellent team performance!